M & M Custom Design experts will ensure your roof is installed professionally to give you Peace of Mind long after the job is done. One competitive price covers everything from roofing materials to installation to the safe removal and disposal of your old roofing shingles. 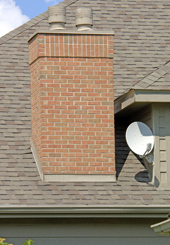 Roofing Installation: What does M & M Custom Design offer? We offer Atlanta’s largest selection from the most trusted names in roofing, including GAF/ELK, TAMKO, and Owens corning. Our convenient in-home consultation can bring these selections to you to help you decide what colors and products are best for your project – it’s that easy. Best of all, we stand behind the service you receive with our signature five years transferable written warranty, Simply The Best! 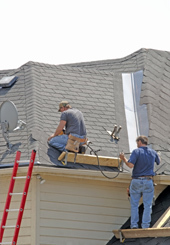 Our roofing consultant will visit your home to discuss your project. Your consultant will help you choose from our wide variety of shingles to help you decide which roofing system is best for you. Once you have chosen M & M Custom Design for your roofing project, a representative will call to schedule your pre-installation inspection. During the inspection we will ensure all components of the project have been addressed and answer any questions you have about the installation process. 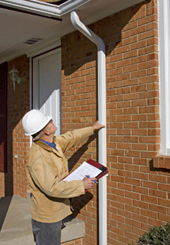 Once the pre-installation inspection is complete a representative will contact you to schedule the installation. Our team will provide start-to-finish project management of all phases of your roofing installation, from delivery to cleanup. We’ll also haul away any project related debris. 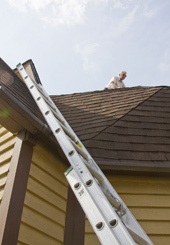 M & M will ensure that your roof is installed with proper attic ventilation, which is a crucial element in maintaining an energy efficient roofing system that will last for years. After the installation is complete, our team will conduct a final inspection of your new roof to ensure the work meets your expectations. They will answer any questions you may have about how to care for and maintain your new roof and will explain all applicable warranties. M & M Custom Design experts will ensure your gutters are installed professionally to give you Peace of Mind long after the job is done. One competitive price covers everything from best materials to installation to the safe removal and disposal of your old gutter systems. 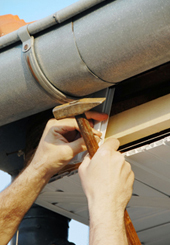 Gutters Installation: What does M & M Custom Design offer? 1. 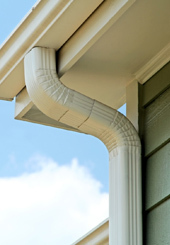 Schedule a free in-home consultation: our gutter consultant will visit your home to discuss your project. Your consultant will help you choose from our wide variety of design to help you decide which gutter design is best for you. 2. 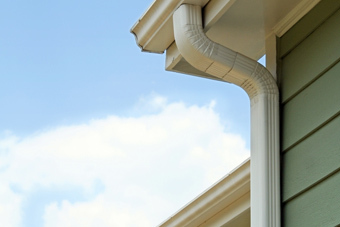 Schedule your gutter Installation: Once you have chosen M & M Custom Design for your gutter project, a representative will call to schedule your pre-installation inspection. During the inspection we will ensure all components of the project have been addressed and answer any questions you have about the installation process. Once the pre-installation inspection is complete a representative will contact you to schedule the installation. 3. Sit back and relax: Our team will provide start-to-finish project management of all phases of your Gutter installation, from delivery to cleanup. We’ll also haul away any project related debris. 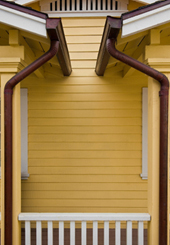 M & M will ensure that your gutters are installed with proper slope, which is a crucial element in maintaining popper drainage system for your home that will last for years. 4. 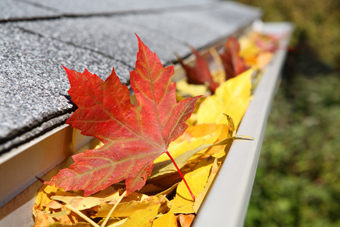 Final inspection and review: After the installation is complete, our team will conduct a final inspection of your new gutters to ensure the work meets your expectations. They will answer any questions you may have about how to care for and maintain your new gutter and will explain all applicable warranties.